I've been trying to connect UR10 robot with press break machine and I'm asking help to making connection between those two machines. Here is picture of I/O cable from press brake. Pins 5-8 and 17-20 are emergency buttons what are suppose to connect to UR10 I/O panel. Goal is to share emergency button so operator doenst need to think about which EM stop buttons to use. In where robots inputs and outputs I connect those EM stop pins? To share the emergency stop function with other machine, you'll need to use the configurable I/O. Yeah we used those connections from chapter 5.3.2.3 but it didn't work at all. 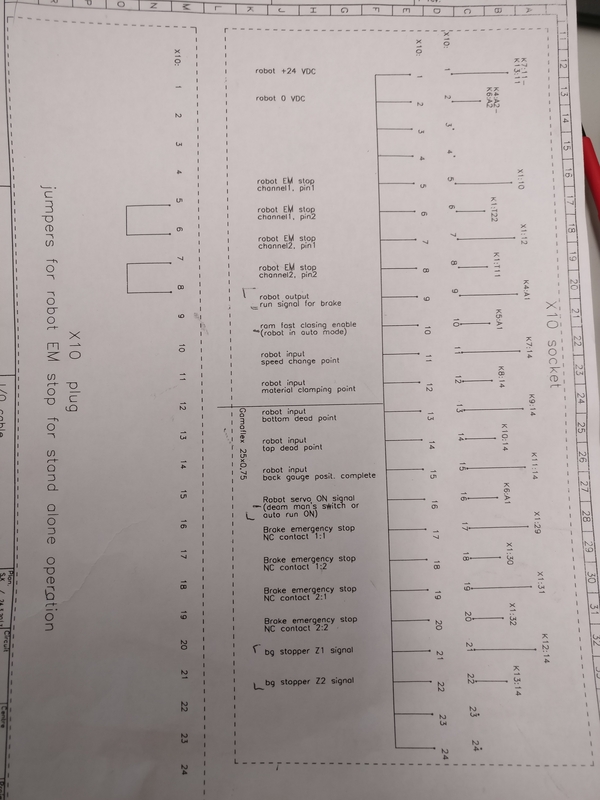 Because of that we had to change some connections and grounds in press brakes I/O and safety relay. After the changes it started to work like it should with using connections from the above-mentioned chapter in UR manual! 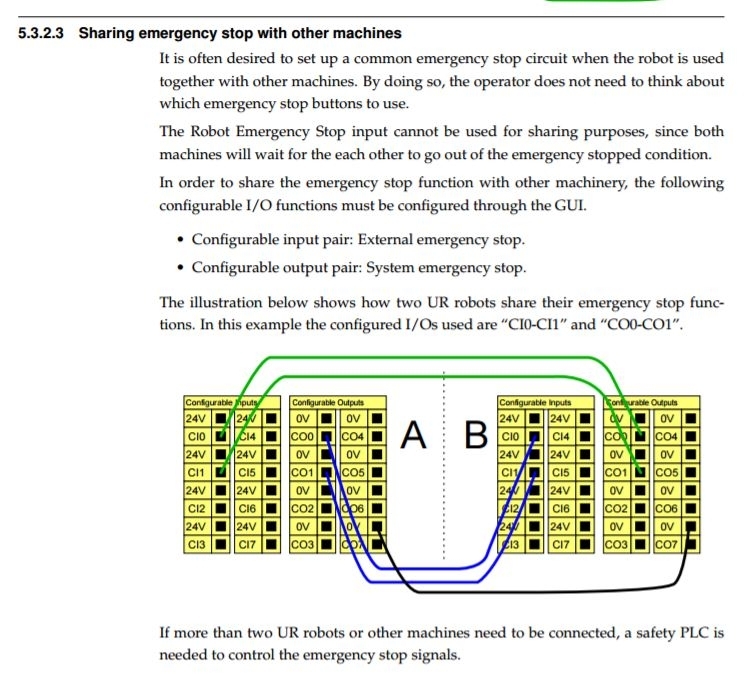 The thing they neglect to mention in the manual is that if you are going between the robot and another machine you often have to use a relay between the two, this is because they are on different 24V systems and so have a different potential. Any time you are working with safety inputs you also want to make sure you are using safety rated relays so that you do not compromise the safety system.